Microprocessor maker Advanced Micro Devices (AMD) has reported first quarter revenues of $1.57bn, net income of $257m, and operating income of $182m. "Strong product offerings and solid operating performance resulted in record first quarter revenue," said Dirk Meyer, AMD president and chief executive. The strong results reflect those of rival Intel, which also reported a strong first quarter boosted by increasing demand for personal computers. Global PC shipments exceeded projections in the first quarter, rising 27% according to research firm Gartner. The server and mobile markets are also regaining momentum, other analysts said. Benefiting from this trend, AMD's revenues were up 34% on the same period the year before at $1.57bn, beating average forecasts of $1.54bn, according to the New York Times. The net income of $257m contrasts with a $416m loss in the first three months of 2009. Net income of $0.35 a share also contrasts with a loss of $0.66 a share a year earlier. 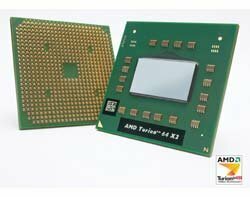 The results are encouraging as AMD tries to recover from the debt incurred by its 2006 acquisition of ATI Technologies. The results also indicate that AMD is benefiting from spinning off its costly manufacturing plants into a joint venture with the government of Abu Dhabi in March 2009.